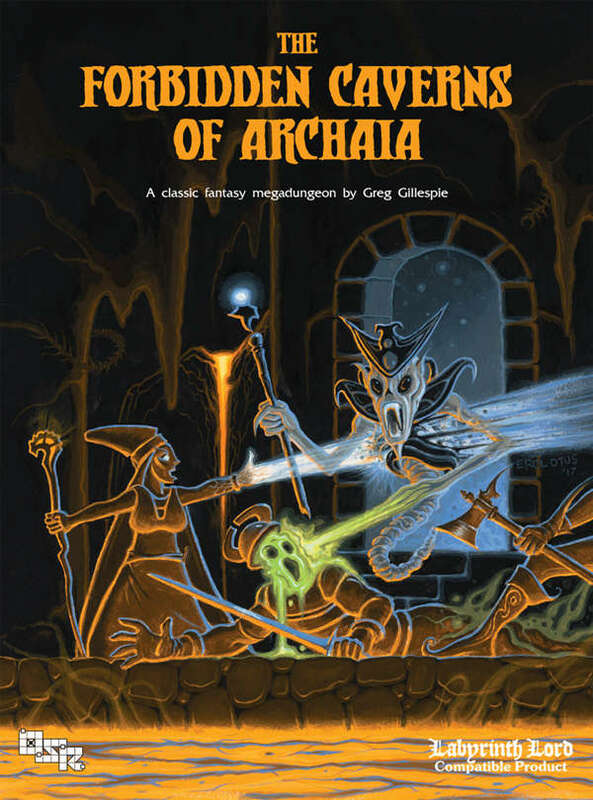 Thanks to the generosity of +Greg Gillespie , he of Barrowmaze fame, The Tavern is giving away a PDF copy of The Forbidden Caverns of Archaia, Greg's latest release. Its a megadungon composed of a sandbox setting and multiple dungeons and it is without a doubt, a campaign worth of gaming and then some. Previously, we asked you to describe a fantasy bartender. The entries were beyond expectations - in number, details, humor - and I thanks you. So, we have a few gift to give away here. The second prize is for the entry that made me smile or laugh the most. That entry get's a $10 RPGNow Gift Certificate. And there are so many great entries I'm awarding 2 $10 GCs. It could easily be a dozen, the entries were that good. So, james spahn and 賈尼, reach out to me for your $10 GCs to RPGNow. Now to the gift you've all been waiting for - the PDF copy of The Forbidden Caverns of Archaia. The randomly chosen entry is: Mike Gibb! Congrats! Those listed above should reach out to me at tenkarsDOTtavernAT that gmail thing and we'll hook you.